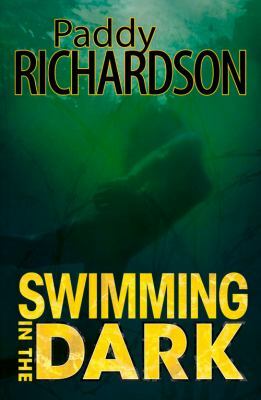 I was looking forward to reading Swimming in the dark – having read rave reviews of Richardson’s latest ‘psychological thriller’. And the premise is great: Alexandra’s troublesome Freeman family is the victim of physical and systemic abuse due to their low socio-economic status and their drinking and partying solo Mum, and also due to a more sinister influence first on elder daughter Lynnie and then on the promising youngest, Selena. We first discover the Freemans from Selena’s point of view, and one of Selena’s teachers is ‘Miss’ – Ilse Klein. Ilse is a German immigrant, and we learn the Klein’s history in Stasi-terrorised Leipzig from the point of view of her mother Gerda. Ilse and Gerda live in relative seclusion in Alexandra, where they purposefully keep a low profile and avoid the authorities as second nature. But the Klein’s are drawn into young Selena’s plight when Ilse discovers her by the local river in the process of giving birth, and they decide to take her in. When Selena’s Mum finally phones Lynnie in Wellington to tell her Selena is missing, Lynnie returns to Alexandra and takes up part of the narrative. The parallel tales show how victimisation and a culture of fear can occur at both a state and an individual level; and how easy it is to end up living in terror and not knowing who you can trust, especially amongst the ‘authorities’. So a great premise, but I found most of Richardson’s characters one dimensional – and her device of passing backwards and forwards from Alexandra to Leipzig more disruptive than tension-building. I thought township New Zealand was well captured – “… what else can people do when they know a most precious loved one has gone than try to fill the deep chasm left with macaroni cheese, cakes made with carrots, and shepherd’s pies?”, but less so Leipzig, where as I read I was reminded of those movies with annoying voice-overs where you just want the action and dialogue to tell the story. I also found some of the plotting quite clunky, like the arrival of Else’s friend Anja. And I was as unconvinced by the vigilantism as I had been in her previous Hunting blind. I really wished I had been more engaged by this novel – but maybe you will be, so give it a go!